Personal Injury - Law Offices of Warren Danz, P.C. Our office is very experienced in this area and have helped thousands of people get settlements and awards. Our attorneys work on a contingent fee basis, which means that we will only get paid if we win or settle your case. 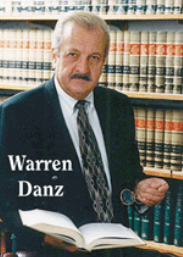 LAW OFFICES OF WARREN DANZ, P.C.